Studies on the control of moisture detection in pellet feed (PART TWO) - Wuxi Huamu machinery Co.,LTD. There are two kinds of solutions for real-time on-line moisture detection and control technology of pellet feed. One is feedback control, which is online testing of the water content in the feed after cooling. The other is feedforward control, which is on-line testing the water content in the feed before conditioning. In comparison with the pre-set value, the two methods can control the moisture content of the adjustment steam and the spray adding of the granulator. Both schemes can maintain the moisture content of the finished product in the range of the predetermined standard values, which are conducive to the stability of the moisture content of the finished product. However, the feedforward method is better in controlling the final product than the feedback type, and the real-time performance is better. 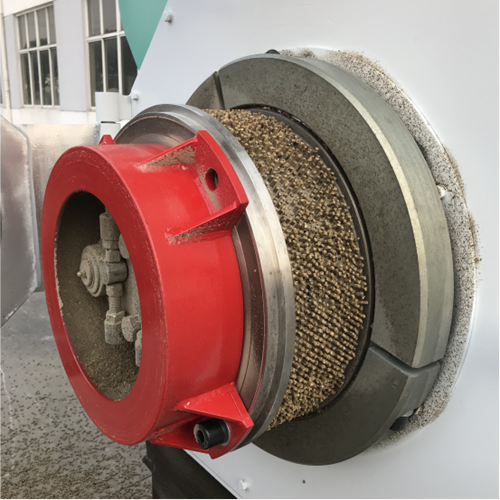 The diversity of sources and variety of raw materials used in production results in the variability of water content in pellet feed products. After mixing, the moisture content of the semi-finished mixture should be controlled at 9% to 14%. The moisture content should be controlled at 12.5%, and should not exceed 13% at any time. Otherwise, it will be susceptible to moldy deterioration. After the conditioning, the moisture content of the feed should be controlled at 15% ~ 16%, so that the quality of the granulated feed produced is better, smoother, the powder rate is lower, and the moisture content of the finished product can meet standard requirements. In actual production, the water content should be adjusted according to the water content of the powder to achieve the ideal temperature and moisture content levels. The normal moisture content of the powder needs dry steam when conditioning, water vapor will have a negative effect on the quality of the adjustment and granulation. For feed that contains lower water content and needs more moisture, this can be done by reducing steam pressure, closing all or part of the trap, adding non-saturated steam or increasing the conditioning time to increase the water content in the feed to improve the moisture. For feed that has higher moisture content you should use high-pressure supersaturated steam so that the feed after conditioning has met the requirements for temperature and the moisture content. The cooling process is to reduce the pellet feed temperature so that it does not exceed room temperature by 3 to 5 ℃ and to remove the water content in the feed so that the water content of granular feed products meet the required standards. After cooling the pellet feed, temperature and moisture must meet the requirements in order to be packaged, otherwise, the finished product in the storage process becomes moldy more easily. For the smaller pellet feed, this should be used when the cooling air volume is smaller, the cooling time is shorter; and for the wetter or larger pellet feed, you should increase the air volume and extend the cooling time. For relatively dry and small feed particles, the amount of cooling air used should be smaller, the cooling time should be shorter and the wetter, larger feed particles should have their cooling air flow increased and their cooling time prolonged. Normally the automatic water adding system is used which is suitable for adding water into the mixer. The water addition system is mainly composed of a stainless steel storage tank, a rust-proof solenoid valve, a water pump, a rust-proof flow meter and an intelligent flow meter, etc. The water spray and water spray delay time can be set on the intelligent flow meter. The system uses PLC automatic control technology with a high degree of automation so that the proportion of water adding is accurate, reliable to control, easy to operate and so on. 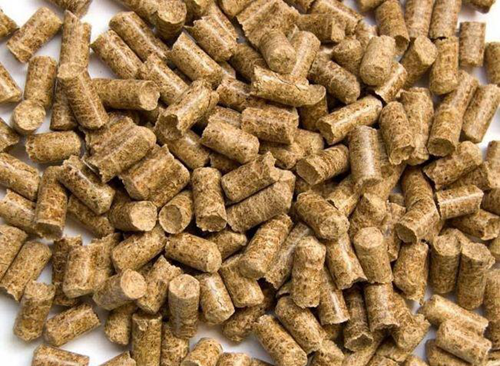 Pellet feed should go through high-precision moisture detection and control to help control the moisture content of the pellets, so as to achieve the maximum input-output ratio and the best product quality.